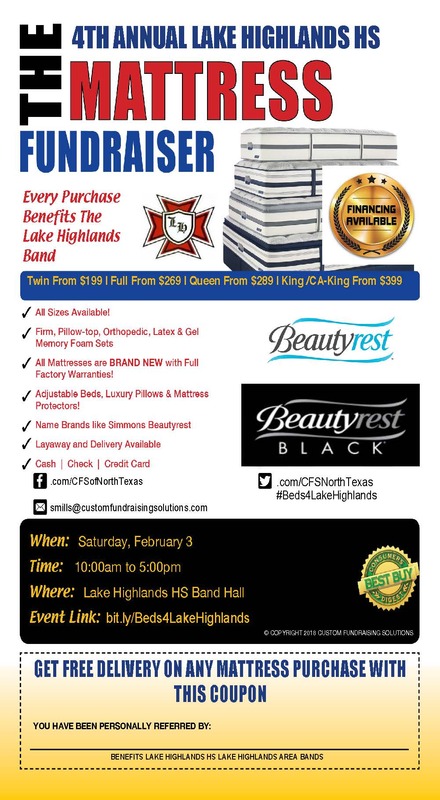 Our Mattress Fundraiser for the Lake Highlands Area Band Club is about 1 month away, on Saturday , February 3rd ! Important mandatory information meeting on January 11th at 6:30PM in the band hall. We need everyone to help us promote the event! The success of this relies entirely on us getting the word out about it. 3. Share the attached flyer via email / social media. Previous Previous post: What’s coming in 2018!